SCOUT Paramotors recently completed EN testing for the harness swing arms and pivot system of the SCOUT harness. 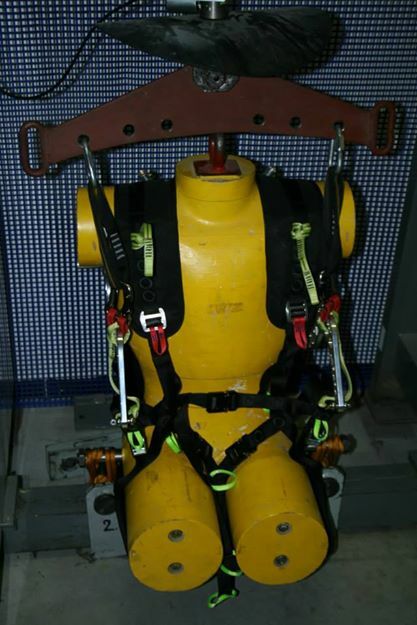 The SCOUT harness is certified according to European Standard EN 1651 to 5,058.2025 pounds or 15G's for a pilot with an in flight weight of 330lbs. The testing was done with the SCOUT swing arms and hinge system in place to ensure the SCOUT under load will handle extreme G forces. This is great news for SCOUT HQ as well as all of us who fly the SCOUT paramotor. No matter how extreme you choose to make your flight, know the harness is there and will take whatever amount of g force you can throw at it.